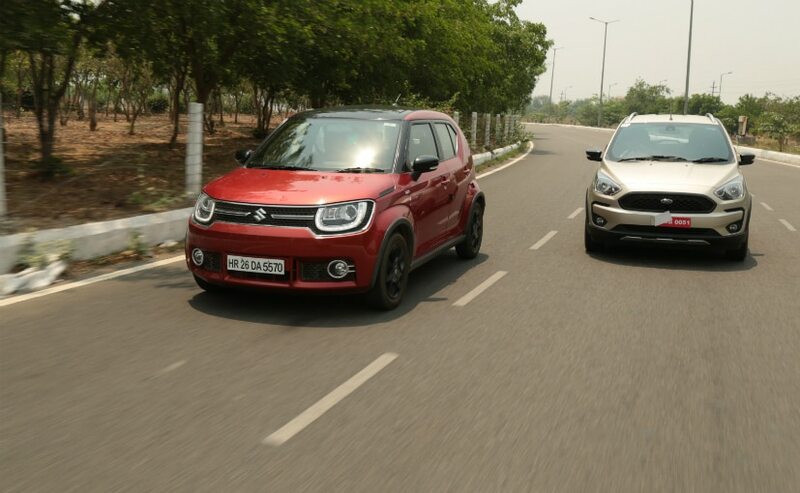 We put the newly launched Ford Freestyle petrol up against its biggest rival, the Maruti Suzuki Ignis! 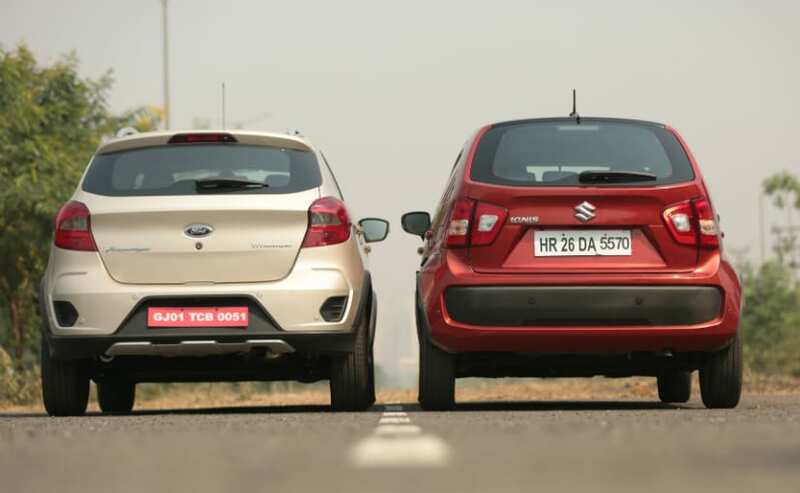 Check out which cross hatchback comes out superior! The battle of the cross hatchbacks! 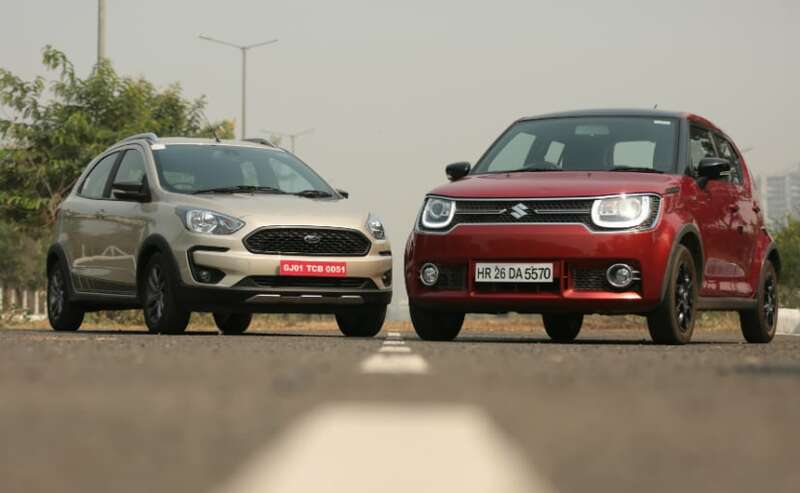 Although both target a similar audience and both come from the same segment, the Maruti Suzuki Ignis and the Ford Freestyle approach the design department very differently. While the Ignis is boxy and very distinct with its tallboy stance, the Freestyle is rounded - more like a conventional hatchback. 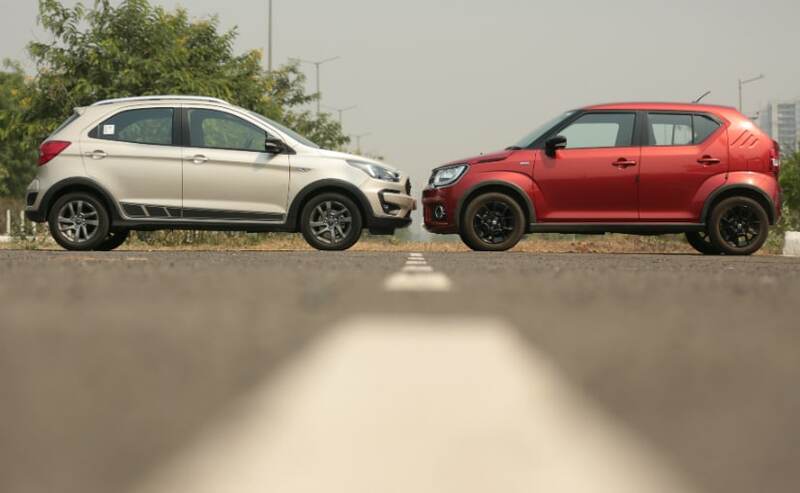 Both cars get plastic cladding on the wheel arches and on the side skirts but the Freestyle's addon's are a lot more prominent while the Ignis looks a lot more 'urban'. 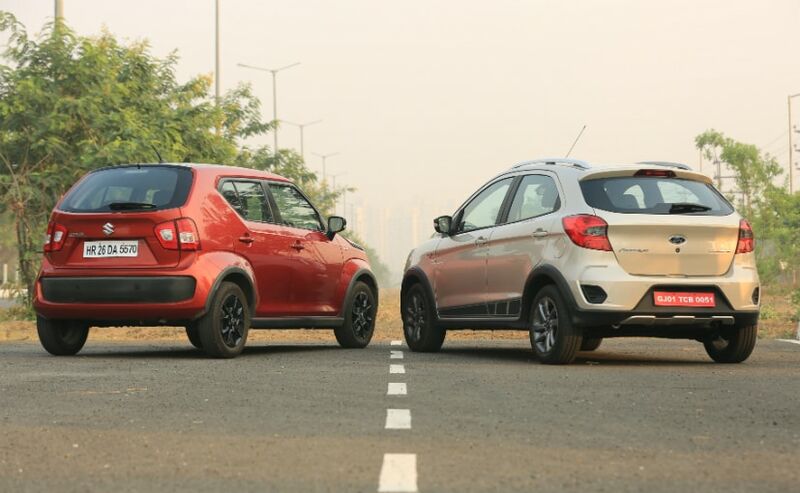 Both cars get 15-inch wheels too but while the Ignis gets 175 section tyres, the Freestyle gets slightly wider 185 section tyres making it look a little meatier. The Freestyle is also a longer car by almost 250 mm and slightly wider too. The Ignis though is slightly taller by about 25mm though. In terms of ground clearance though, the Freestyle clearly has this in the bag with 190mm vs the Ignis' 180mm. 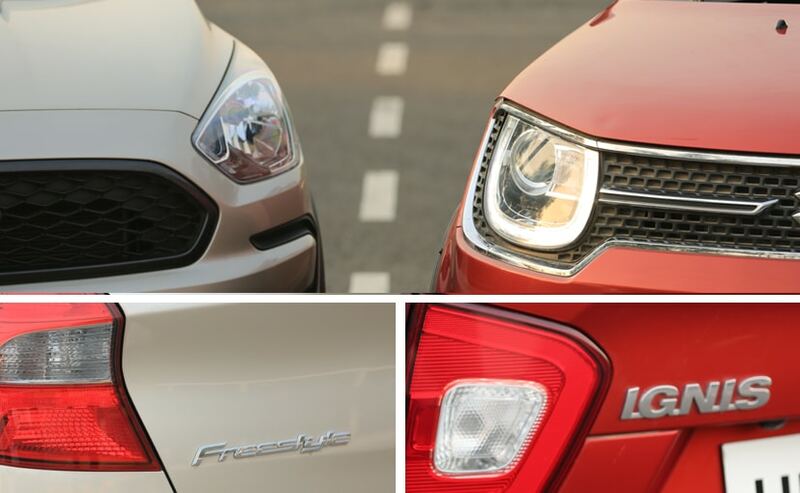 In fact, the Freestyle is the highest riding cross-hatchback out there. That said, as a more striking product, the Ignis certainly is the younger, sexier and more 'in your face' car between the two. And the added features like the LED daytime running lights, LED headlamps and of course, the loads of customisation options you can add to it make it even more interesting. The funkiness of the Ignis and its customisation bits continue on the interior too. You get a centrally mounted touchscreen in an easy to reach and prominent position, a very crisp and clear instrument cluster and a very cool AC control unit with 'toggle' like switches. 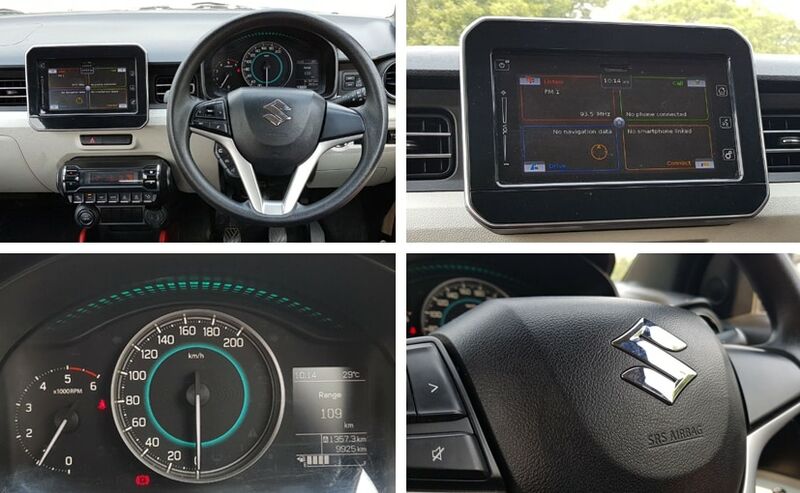 The flatsided touches on the outside continue too and Maruti with the iCreate program also gives you the option to colour coordinate several pieces of trim on the interior like the door handles, dashboard inserts and the central console. Comparatively, the Freestyle feels and looks a lot more conventional. With a brownish dashboard mated with a gloss black central console, the Freestyle compared to the Ignis might even be termed - a bit boring. But its not just the looks that matter. The Freestyle certainly feels better built, especially when comparing plastic quality. 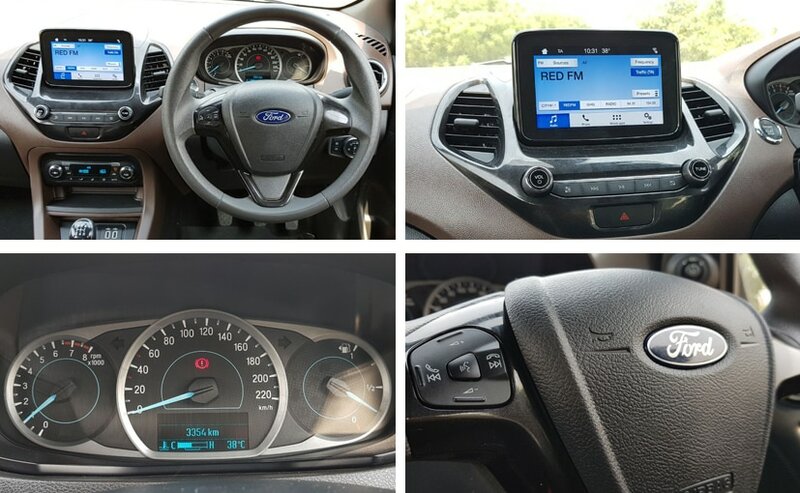 The Freestyle also gets a touchscreen infotainment system, which without a doubt is the best in class and in fact, in any car under the Rs 10 lakh mark today. Both cars get Apple CarPlay, Android Auto and Bluetooth but the Freestyle's screen and fluidity just takes it to another level! That said, as an added benefit, the Ignis does get navigation. In terms of space though, the Ignis, although smaller, again seems to score higher. It is a little higher set in terms of seating position and that also makes getting in and out a lot easier. In fact, it is surprising how much space the Ignis packs in. Overall then, when it comes to the cabin design, features and space between the two, the jury is hung. The Ignis excels in the space and design department while the Freestyle offers better quality and a superior infotainment setup. And so we come to vehicle dynamics. Lets tackle the engine side of things first. The Ignis gets the 1.2-litre, tried and tested K12 4-cylinder petrol motor that makes 82 bhp of peak power and 113 Nm of peak torque. 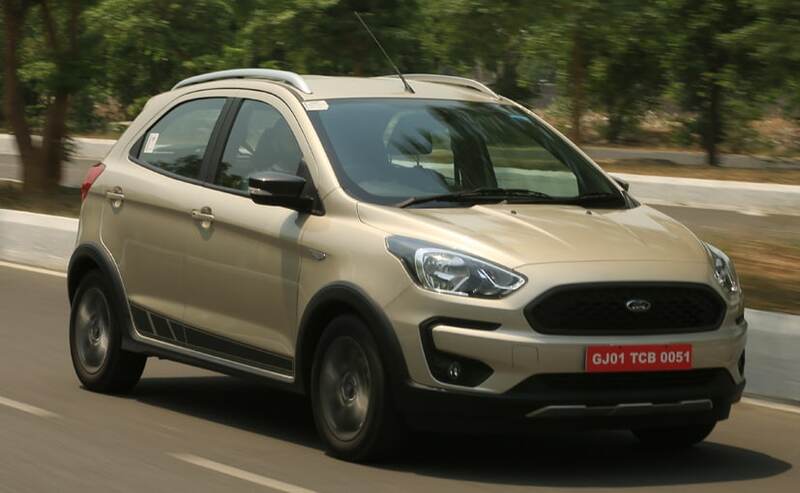 On the other hand, the Ford Freestyle gets a newer 3-cylinder 1.2-litre 'Dragon' engine that makes 95 bhp of peak power and 120 Nm of peak torque. And while the Ignis has a smoother engine that does offer top end performance, the Freestyle overall trounces it. That extra horsepower and torque is oh-so-obvious on tarmac and the way the Freestyle moves past triple digit speeds into seriously quick territory are genuinely noteworthy. It certainly is a quick little car! 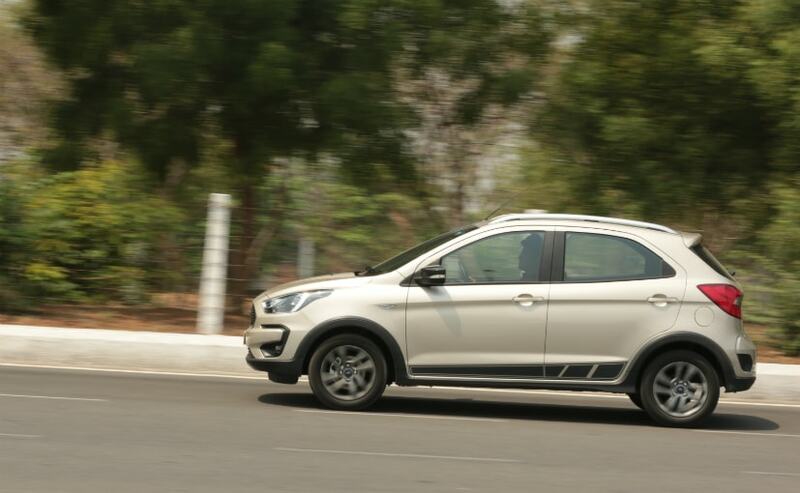 The Freestyle also gets a new 5-speed gearbox. Once you get used to it, the gearbox does feel slick and gear shifts do slot in well - especially if driven hard. But, the Ignis' tried and tested 5-speed is just the cake and the bakery all combined into one glorious package. It is almost as good as that glorious short throw box that came on the first generation Swift. And that is saying a lot. The Ignis also gets an automatic - in particular an AMT - option with both the petrol and the diesel engine. Strangely though, Ford has not offered an automatic on the Freestyle yet. Moving to suspension, steering and handling though, this is where things start to get really really competitive. The Ignis is a little go-kart. That's the impression that everyone who has ever driven the little cross hatchback always gets. It is light on its feet, handles really well and is still comfortable enough to be a great family car. And the Ford Freestyle takes all of those attributes and turns it up a notch. I can say with conviction that the Ford Freestyle is the most balanced handling car that you will find under the Rs 10 lakh pricepoint. Lane changes, slow tight cornering and high speed cornering are mere formalities for this chassis - yes, it genuinely is THAT good. And yet, all that extra suspension has made it comfortable when it needs to be. A great all round package indeed. And the Freestyle is safer too. With traction control, ABS, an emergency assist function and up to six airbags on the top of the line model, it is one of the safest hatchbacks you can buy today and most certainly the safest car for its pricepoint and even some above. The Ignis on the other hand isn't far behind. It misses out on traction control and the 6 airbags but it does get 2 airbags on all models and ABS as standard. Both cars also get ISOFIX mounts for child seats at the rear. And so we come to the pricing. The Ignis starts at Rs 4.66 lakh as compared to the Ford Freestyle's Rs 5.09 lakh making it a better value for money proposition. 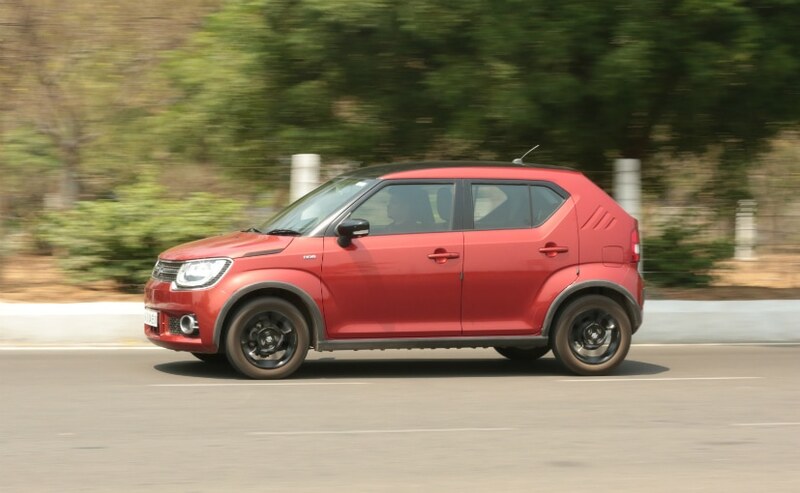 The top spec Ignis is priced at Rs 6.50 lakh as compared to the Freestyle's Rs 6.94 lakh. All in all then, the Ingis, variant to variant, is about Rs 45,000 - 50,000 cheaper than the Ford Freestyle making it a more sensible choice. And then there is the matter of Maruti's extensive sales and service network even though the Ignis is only available at the Nexa outlets. So here is the final score sheet. The Ignis wins at exterior and interior design, interior space and of course, price. The Freestyle on the other hand wins at safety, vehicle dynamics - both drive performance and handling and of course, that lovely infotainment system. While the Freestyle is a capable vehicle in its own right, the Ignis pulls at the heartstrings with its cuteness and X-factor. The verdict is a split one then. If you are going to buy a car with you head, get the Ford Freestyle. 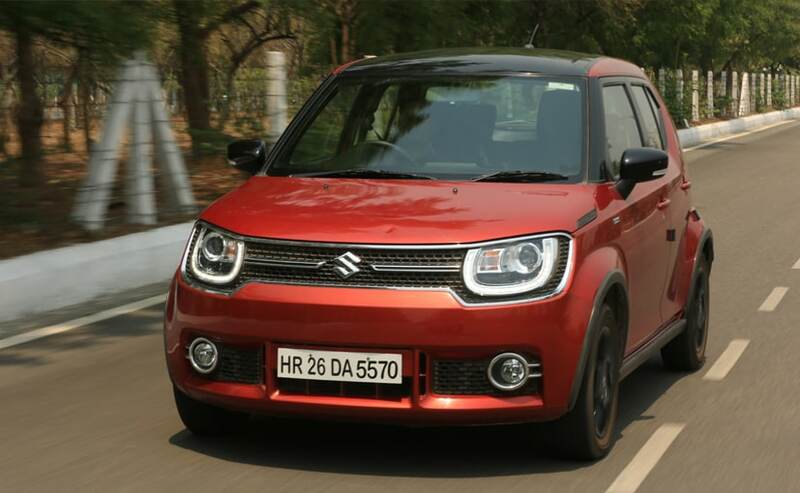 If your buying decision is one based on passion, get the Maruti Suzuki Ignis.